Swimmer Cindy Dong (first year) reached the consolation final at the NCAA Division III Swimming and Diving Championships in the 200 yard butterfly March 22. Dong’s performances this year saw her win the Southern California Intercollegiate Athletic Conference (SCIAC) championship, set school records in multiple events and earn an All-American honorable mention. Dong’s teammate and senior captain Laura Chun said she felt Dong may have already done enough to secure a place in the Occidental Athletics Hall of Fame. Dong’s journey to the finals began at the SCIAC championships, where she had yet to secure a spot at nationals. Dong explained how her best time prior to SCIAC finals was the 17th-best in the country, with only the top 16 times earning an invite to the national meet. “Going into finals, the second session of the day, I really wanted to be able to just swim. And if I make it, I make it. And if I don’t, then I don’t make it,” Dong said. Dong went on to drop two seconds off of her time from earlier in the day, swimming a 2:02.13. This time saw her win the SCIAC meet, set a new personal, school and conference record and progress to the national meet as the number-four seed in the event. With Dong as the only swimmer from Occidental to achieve a place at nationals, the SCIAC championship meet marked the end of the rest of swimming team’s season and left Dong to train on her own for the next three weeks. “It wasn’t the worst thing, but it also wasn’t the greatest to swim by yourself for three weeks,” Dong said. Chun said she wasn’t surprised that Dong continued to excel in the pool even with this unconventional training period. “Despite being alone for a majority of the practices, she still continued to work hard, which just showcases her drive and willingness to succeed,” Chun said via email. Dong trained extensively with head coach Steven Webb, who explained how he was impressed with how Dong coped under these challenging and often lonely circumstances. Following these weeks of training, Dong, Webb and assistant coach Jacki Hirsty traveled to Greensboro, NC. Dong said she spent the first few days getting used to the pool and seeing how the meet ran. Webb described how he felt this was valuable time for Dong. “She got to see, ‘Wow! There’s nothing special about the other people. I can beat all of them.’ So I think she realized that she can win the national title in her career here and that it’s certainly a realistic goal,” Webb said. Dong competed in the 100 yard butterfly March 21, an event she described as her warm up. Dong then had her preliminary race in the 200 yard butterfly, where she progressed to the consolation final and achieved an All-American honorable mention in the process. 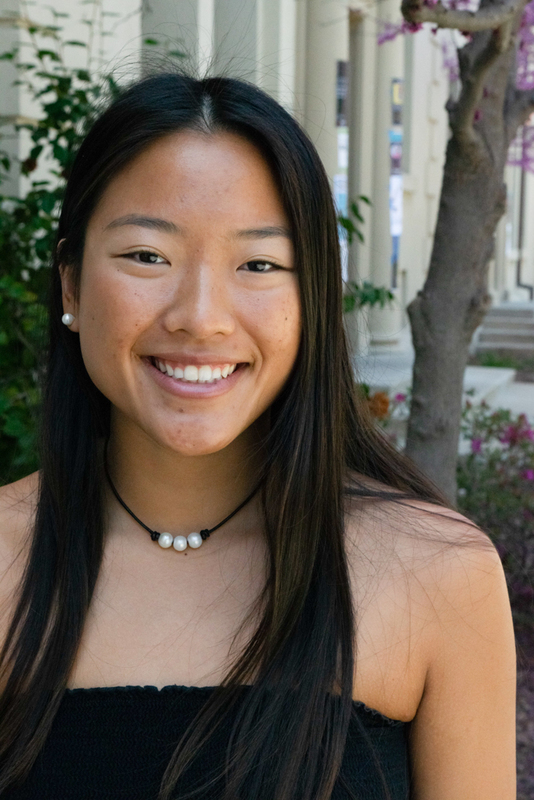 With Dong having achieved so much in her first year at Occidental, she explained she has her sights set on similar success during the rest of her career. Webb said he felt Dong could achieve even more given her talent level and potential.